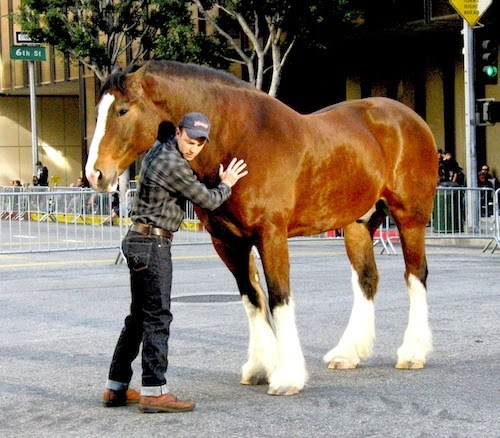 This year's Budweiser Clydesdale commercial is quite a story. "Brotherhood" shares the bond of a trainer and his favorite horse. Have you been chewing your nails (or hooves)? 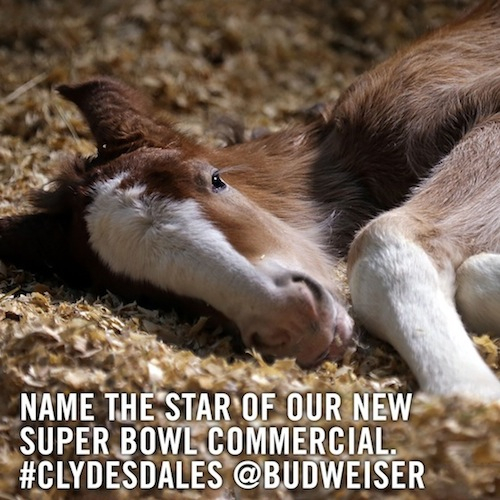 Are you worried you might be running to the refrigerator or bathroom on Sunday night when the annual Budweiser Clydesdale commercial comes on the Super Bowl? The American Association of Equine Practitioners (AAEP) has announced that it is extending its pasture-associated equine laminitis research project into 2013, in hopes of collecting more cases from the field. Shoeing trailers make a lot of sense, both economically and efficiency-wise. Some are really clever designs and all of them allow farriers to use a truck or hauling vehicle for something other than a work-related rig. But it looks like thieves love them, too. This is not the first shoeing trailer that I have heard of being stolen. This news report amazed me when I saw that Mr. Ward had stamped all this shoes. There is just no question that the marketing and advertising surrounding the Super Bowl is more interesting than the game itself usually turns out to be. If you needed proof of that, look no farther than into the eyes of the Clydesdale foal in this photo. This year is the 80th Anniversary of the Budweiser Clydesdales hitch, so you know that there was something special in the pipeline. We just didn't know what, until today! Learn about Wes Champagne's Blacksmith Buddy in this introductory video. When I heard that California horseshoer Wes Champagne had a new invention, I sat back and said, "Hmmmm...." My mind lit up with imagined new lightweight shoes, or space-age adhesives, or something that you could put on a racehorse so it could break the sound barrier, or maybe jump the moon. After all, Wes has quite a "track record" already, as a pioneer of adhesive shoes for racehorses and quarter crack repair. He pioneered the "direct glue" method and shod the first winner of a Breeders Cup race with glue-ons, Lit de Justice in the 1996 Sprint. Stakes winner Paynter was taken ill in August while training at Saratoga in New York. A month of life-and-death struggles with colitis and acute laminitis followed. Many horses don't survive this type of medical insult but Paynter clung to life and is now back in training at Santa Anita in California. His story was publicly broadcast via the Twitter social media network by his owners, Zayat Racing. Racing fans adopted the horse's struggle and cheered "Power Up, Paynter" at every turn. A racehorse's recovery from colitis and laminitis was chronicled on the Hoof Blog in September 2012 and was voted today the "Moment of the Year" in American horseracing. Paynter's battle gripped everyone's attention--and amazed everyone who thought he'd never survive. 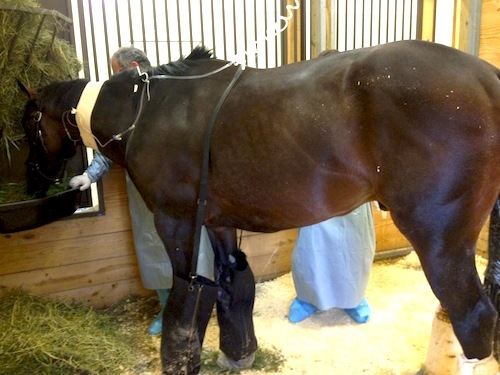 Paynter battled laminitis and colitis with the help of a corps of skilled and dedicated veterinarians and farriers; the horse was transferred to a small vet hospital near Saratoga, New York following his victory in the 2012 Haskell Invitational at Monmouth Park. His struggle has been voted the 2012 National Thoroughbred Racing Association (NTRA) Moment of the Year. 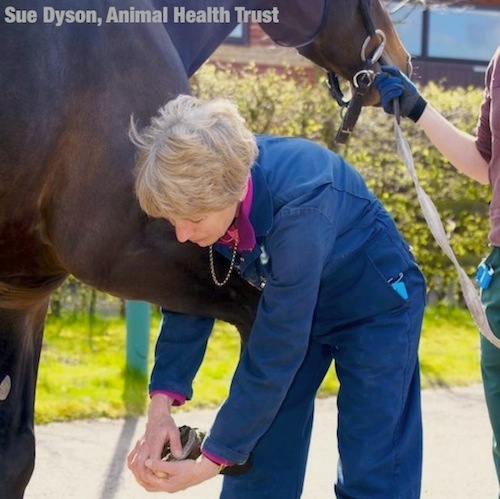 At the 2012 International Society for Equitation Science Conference in Scotland in July, Sue Dyson MA, VetMB, PhD, DEO, FRCVS, presented some data collected in her work as director of orthopedics at the famous Animal Health Trust (AHT) referral clinic in Newmarket, England. The large number of cases seen at the clinic and the thoroughness of Dr. Dyson's exams and imaging provide a broad database for analyzing trends in lameness diagnosis in sport horses. “Conformation plays a significant role in determining the likelihood of an individual horse suffering an injury during its competition career” advised Dr Dyson. Conformation issues of concern to her include straight hocks, a high croup relative to the withers and overly-extended hind fetlocks. 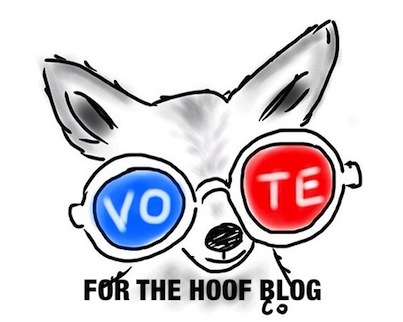 Would You Take a Moment to Vote for the Hoof Blog? Surprise, surprise--and what a nice one! The Hoof Blog has been honored by being named a finalist in the "Best Blog" category of the Equestrian Social Media Awards. How wonderful is that? If you are agree, you can vote for The Hoof Blog (listed under "Fran Jurga") in Group 17 on the ballot web site: http://www.equestriansocialmediaawards.com/finalists. Nothing much happens but there's plenty to look at. Hoof Blog readers may be mesmerized or bored or inspired or exasperated by this two-minute excerpt from a video artist's interpretations of disembodied but parallel equine details. Best experienced in full screen mode; click the embiggen icon between "HD" and "vimeo". The Hoof Blog talks a lot about science. The anatomy and physiology of the horse's hoof are combining with locomotion and biomechanics; slowly, but surely, a field of science is emerging. 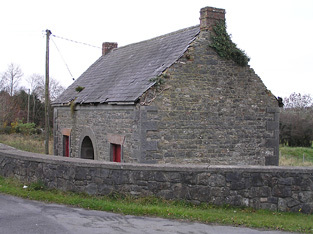 around 1875 and, according to records, it is empty and in disrepair. The pubs are buzzing in Ireland tonight. And the forge fires are flaring just a little higher, knowing that half a world away, a son of one of their own may soon take on one of the most important jobs in the world.